Dublin City Council chief executive Owen Keegan has recommended that An Bord Pleanala (ABP) refuses an application for the development of 500 homes in north Dublin. Planning permission for the Crekav Trading-led project at St Paul's College, Raheny, adjacent to St Anne's Park, is now in serious doubt, the Herald can reveal. It has already faced strong opposition from locals who say it would mean the loss of sports pitches used by local clubs. Objectors have also argued the park is one of the few green spaces in that area of the city. In his submission to ABP, which is due to make a decision on the issue next month, Mr Keegan said the application did not comply with the zoning of the land, currently Z15, for institutional use. 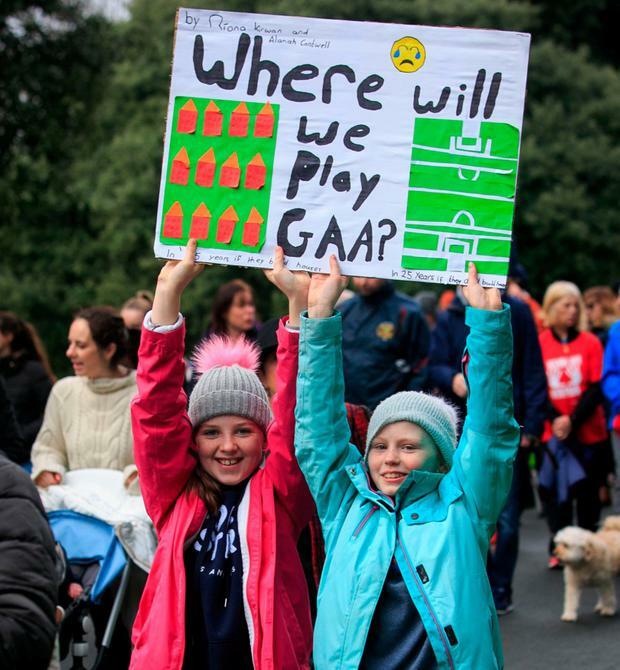 "The proposed development is not considered to be consistent with the Dublin Development Plan 2016-2022 and with the proper planning and sustainable development of the area," he said. Running to 28 pages, the document considered the development's impact on the environment, traffic and amenity to the area. It listed almost 180 individual key planning issues raised in observations submitted on the application. These ranged from procedural issues, such as drawings of the plan missing from ABP's website, to the ejection of Clontarf FC from the grounds. A special mention was made of An Taisce's observation that the impact on the Brent goose population has not been adequately addressed. The St Paul's lands constitute the most important ex-situ site in the Dublin area for this protected species. Some 1,100 observations have so far been made on the Strategic Housing Development application. Mr Keegan's report was not opposed in principle to the development of a high-density residential development on part of the St Paul's land, "subject to the satisfactory resolution of the zoning objective and biodiversity issues". The report has been hailed as a victory for protesters against the development. It came after they secured 3,000 signatures on a petition to Mr Keegan to make a submission which reflected the opposition of local politicians to the plan. Labour Party Senator Aodhan O Riordain, who has helped spearhead local resistance, said the submission made it very hard for ABP to grant permission for the development. "I'm not surprised that he has done that, but I am encouraged," Mr O Riordain told the Herald. The developer submitted the application under a fast-track planning scheme, which meant it went straight to ABP, rather than through the local council. "Because of what Owen Keegan has done, it shows that if this application had gone through Dublin City Council, it wouldn't have got permission," he added. Mr O Riordain said it was "a very positive move" and that locals were delighted with Mr Keegan's position. Crekav Trading has said it intends to replace the playing pitches on the land with a gym and two outdoor all-weather pitches. So far ABP has made three decisions under the Strategic Housing Development scheme, introduced under new laws last summer, two of which have been rejected.